Provocation by intoxicated woman in a dog bite lawsuit in California? Provocation by an intoxicated woman in a dog bite lawsuit in San Diego, California? Companion dogs are exceptional in that they have the ability to accurately read nonverbal social and emotional cues from humans. This is a trait that has developed as a result of the domestication process, and one that benefits both man and dog alike. Moreover, normally socialized dogs usually have expectancies in terms of the social cues they are likely to receive from humans in a given context. So, for example, a dog expects to receive a particular set of nonverbal cues from its owner when it is reunited with its owner after period of absence. Dogs also have certain expectancies, based largely on past experience and learning, about the kind of nonverbal cues they receive from strangers they encounter. If there is incongruency between the social cues from a person a dog receives with what it is expecting, then a dog will predictably react in a manner to reduce the incongruency. Behaviors which the dog may undertake to reduce the incongruency include fleeing from the person or even attacking a person. 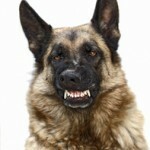 Many examples can be given with respect to a victim’s behavior in dog bite lawsuits. However, for the purpose of this story, what is relevant nonverbal social cues an intoxicated person sends to a dog. Specifically, when humans are intoxicated they often act erratically, therefore the kind of nonverbal behavior they are delivering to a nearby dog is likely to be incongruent with its expectancies. And when this happens, the dog may react to the person with defensive aggression, particularly if the dog does not have the ability to escape from the intoxicated person. As an animal behavior expert, I have been called upon in dog bite lawsuits to opine about how an intoxicated person may affect dog behavior. However, there was a recent case in San Diego California, in which I was not involved, where I feel this factor may have played a part. In this instance, the plaintiff a 19-year-old lady was at a party in the defendants home. At some point to during the party, party goers moved from the outside to the inside of the residence, and sometime after this the plaintiff wanted to smoke. She decided to move to another part of the house in order to do this. She intended to enter a closed bedroom in the house to do this, but mistakenly entered through the closed door of the the garage were a pit bull was being kept. Soon after she entered the garage, the pit bull attacked her face. It is significant to note that at the time of the incident, she was legally intoxicated with a blood-alcohol level of approximately .189 ( measured at the emergency room about four hours after the incident happened). From an animal behavior perspective, it is conceivable that her actions, particularly her erratic nonverbal behavior towards the dog may have been provocative, and therefore may have played a part behind the impetus of this dog’s attack. Apparently, the defense did not raise this issue. 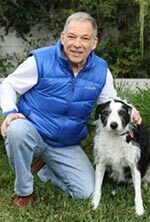 At trial, the plaintiff contended that the defendant’s were strictly liable under the California dog bite statute and that the plaintiff’s actions towards the dog were not provocative. Defense, on the other hand, argued contributory negligence on the part of the plaintiff. However, in my opinion, the defense may have argued for contributory negligence for the wrong reason. Namely, the plaintiff was negligent entered through the wrong door because she was intoxicated. I believe a stronger argument would have been that her erratic nonverbal movements and behavior caused by her intoxicated state may have been provocative to the dog. As noted above, it needs to be understood that this writer was not involved in this case and therefore does not know the fact pattern of the case or exactly how the plaintiff may have been behaving after she entered the garage. Hence, the above opinion, although based on animal behavior science, must remain speculative. Nevertheless, it is raised here to illuminate the possibilities of how the behavior of intoxicated person, who is unfamiliar to a dog, may cause a dog to attack through erratic, provocative behavior brought on by intoxication. Additional animal behavior questions that may have not been weighed heavily at trial concern the temperament of the dog, why the defendants elected to isolate the dog in the garage, and why the door to the garage was not locked, thereby preventing partygoers from entering the garage unexpectedly. No animal behavior expert was called at trial to address these issues. The plaintiff required plastic surgery on her lip and chin. The jury awarded $7,500 in past medicals, $15,000 in future medicals, and $97,500 in non-economic damages. The total award was $120,000. The jury was 9-3 in favor of liability on part of the defendants. Case caption is Morales v. Medina, et.al. San Diego Superior Court-Vista (Case number 37-2011-00555607). The verdict was rendered in January 2013. The incident occurred in 2009. The plaintiff’s 998 demand was $300,000. The defendants offered $85,000 to settle the case.